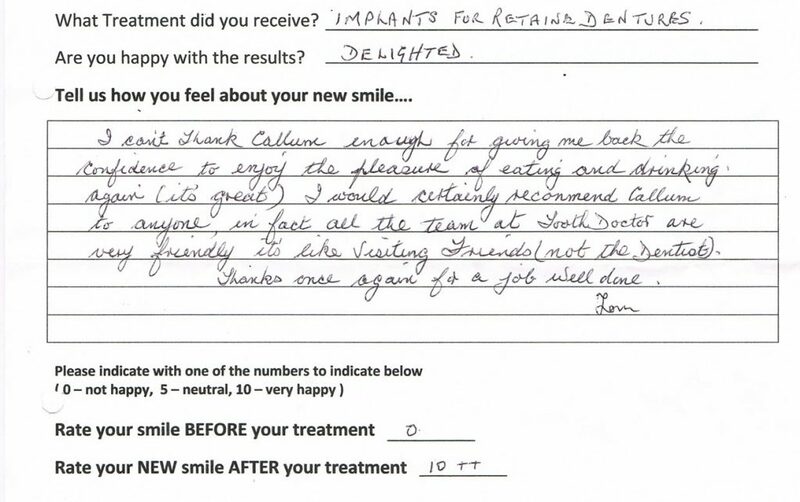 “Having had an upper denture for 44 years I made the decision to have implants. From the outset all staff made me feel informed and confident. The procedures were nothing like I expected. “When I first made enquiries about the Toothdoctor I was a bit dubious about travelling from Edinburgh. However, I was made so welcome from the minute I arrived, between Liz and Callum I felt quite at home. 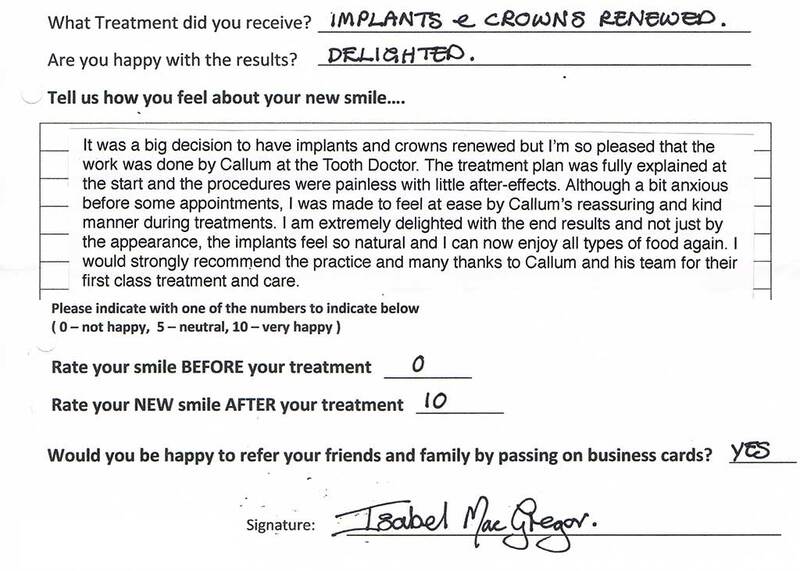 Callum’s treatment towards me was lovely and going into his surgery (for whatever procedure) did not worry me at all and before I knew it 3 new implants were inserted and new teeth to go with them. 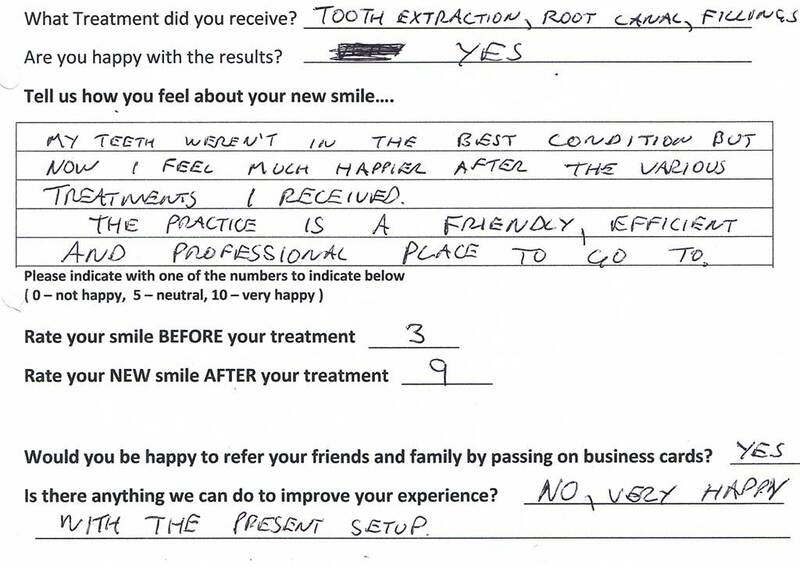 “The Toothdoctor was recommended to me by a colleague. 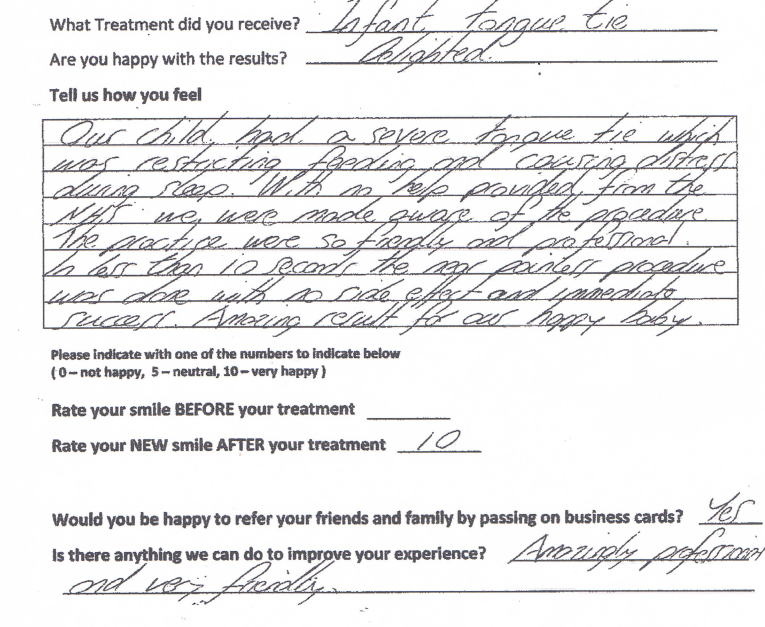 Although I am generally very anxious about dental treatment the care and attention was exceptional. From the moment I walked into the practice, very friendly staff, all made me feel at ease. 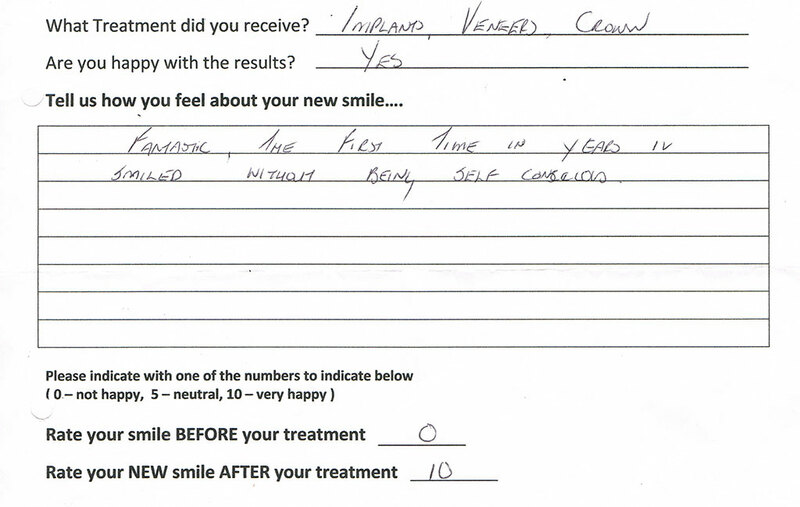 “I would like to thank Dr Callum Graham for my beautiful smile back with confidence. The choice before treatment was a car or new teeth and I can proudly say that I made the right choice. My teeth will last a life time, a car will not. 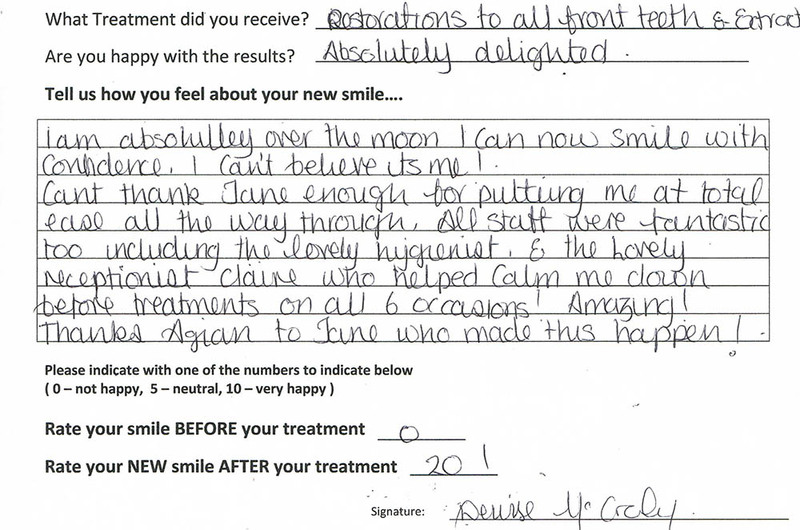 I would also like to add that there was very little pain involved and at every stage of treatment I was left feeling better a bit closer to the end.